Kidney transplantation was first performed in Japan in 1956. Liver, heart, and pancreas transplantation began in 1964, 1968, and 1984, respectively. From 1964 until the end of 1987, 5328 kidney transplantations were performed in 122 facilities. A total of 75.7% of the grafts came from living related donors and 24.3% from cadavers. Although there were 80553 patients on dialysis at the end of 1987, only 572 renal transplants were performed that year. No liver or heart transplantations have been performed since 1968. 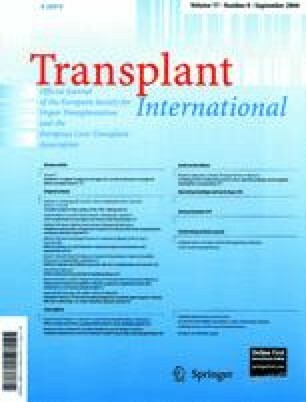 In this review, data from the Japanese National Registry on Dialysis and Transplantation are presented. In addition, the social problems and public attitude towards brain death legislation and organ transplantation are discussed.